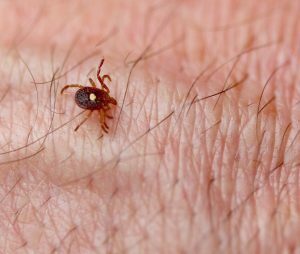 It is common knowledge at this point that there are a wide variety of diseases one can pick up if they are unfortunate enough to be bitten by a tick. One of the more debilitating, and well known diseases is Lyme Disease which can, if left untreated affect people for the entirety of the rest of their lives. This disease is acquired through deer ticks, and symptoms include a target shaped rash where the tick bit the person, fever, chills, and fatigue. Another terrible disease that can be acquired from ticks on Long Island is rocky mountain spotted fever. Rocky mountain spotted fever can be spread through the American dog tick, Rocky Mountain wood tick, and brown dog tick according to the Center for Disease Control. Symptoms of this disease include fever, a spotted rash, headache, nausea, vomiting, and abdominal pain. So we have found out two of the more common diseases associated with tick bites; Lyme Disease and rocky mountain spotted fever. More recently however, a new phenomenon has been occurring in people bitten by the Lone Star Tick. First, a little about the Lone Star Tick. This tick has nothing to do with Texas, and is named for the sometimes star shaped dot on it’s back. These nasty ticks are found in the South of the United States, and East Coast including Long Island and the Hamptons. They are aggressive feeders and will feed on nearly every mammal, including humans. When bitten by one of these ticks, sometime people will acquire strange allergic reactions to red meat afterwards. So why does this happen? When a Lone-Star Tick bites a host it releases a carbohydrate called galactose-alpha-1,3-galactose, (which from here on out we will shorten to alpha-gal) into the bloodstream. Antibodies part of the the human immune system identify this as a foreign object and try to combat it. While initially the alpha-gal does not cause an allergic reaction, the antibodies familiarize themselves with this molecule as a cause of distress. Much like how vaccines work, they “remember” this molecule as a threat. Unfortunately for those that aren’t vegan or vegetarian alpha-gal is also found in the meat of animals such as pigs and cows. Now categorizing alpha-gal as a threat, the body begins having an allergic reaction to alpha-gal when eaten. The symptoms of this include hives, upset stomach, respiratory distress and the entire body itching. There is at this point little research on this subject and no known cure other than hoping the allergy recedes with time. So in this case an ounce of prevention is worth unlimited amounts of cure. So how do you prevent being bitten by a Lone Star Tick? Bug spray with DEET is a great start if you’re going to be outside. Long sleeves and pants in light colors are another good precaution to take as ticks will be easier to identify on clothing. 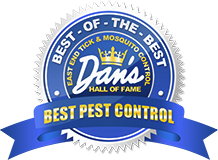 If Lone Star Ticks are an issue on your property, which is likely if you live on the East End of Long Island, you can get tick control done on your property by the tick experts at East End Tick Control®. 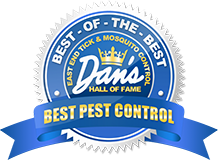 So if you want to keep enjoying delicious barbecue without having an allergic reaction, be sure to take precautions from the Lone Star tick by getting your property sprayed by East End Tick Control®. Contact us using our form or give us a call at the office closest to you. « Ticks in Winter: Cause for Concern?